A closer look at Dublin’s neighbourhoods. Fairview has been a part of suburban Dublin since the 1800s. In the beginning it was a refuge for well-off people seeking solace from the bustling city. The area originally bore the same name as neighbouring Ballybough. But in 1856 a church was dedicated to Our Lady of Fair View, giving the surrounding area the name used today. Walk through Fairview and you’ll feel its unique vibe. It’s like a cross between the Liberties and Clontarf. Trendy bars and eateries sit comfortably alongside hardware stores and charity shops that have been here for years. Families who have been in the area for generations live happily alongside a metropolitan mix of young professionals. Fairview has long been home to interesting people. Bram Stoker, author of Dracula was born on the Georgian terrace of Marino Crescent in 1847. The private park that the terrace surrounds now bears the author’s name. Lion trainer Bill Stephens kept his lions behind Fairview Cinema. In 1951 a lioness escaped and mauled a man before being shot by police. Dublin.ie spoke to Noelle Lau who grew up in Fairview in the 1960s. 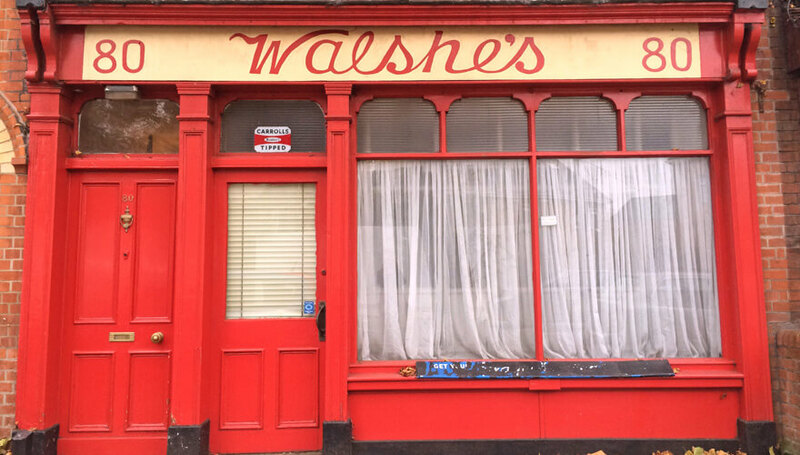 Her family lived and worked above Walshe’s shop in Fairview. Noelle’s mother Anna opened the store in 1953. For 26 years the shop years gave employment to her seven children (once they were big enough to reach the counter) and countless others. The building remains the family home and the shop front and store have been preserved in their original state, bridging the gap between Fairview’s past and present. While established haunts like Wright’s fishmongers and Gaffney & Son pub continue to thrive, new enterprises are popping up around them to cater to the needs of the modern residents of the area. 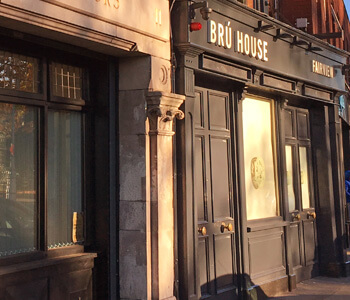 Recently foodie haunt Kennedy’s, Chopped salad bar and craft beer hub Brú House have all opened their doors. 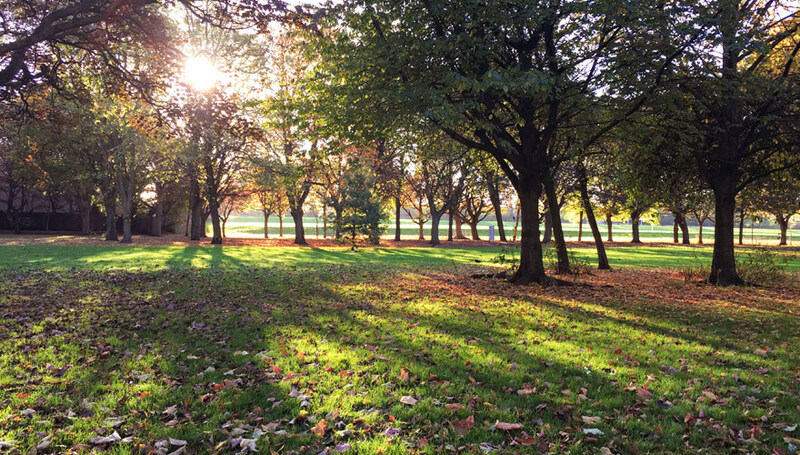 The refurbishment of Fairview Park in 2012 has ensured that Fairview’s young residents will continue to make memories there for years to come. The park now features floral displays, an interactive playground, a performance area and playing fields. In spring the beds of daffodils bring a smile to all who pass – although children seem to have less time to wait for a swing than when Noelle was growing up. There’s even a skate park for the more adventurous. Why do any of us choose what part of the city we live in? Budget usually dictates, as well as practicalities – Is it near a Luas stop? What are the local schools like? – or sometimes, well, it’s just for random reasons. Occasionally, we’ll get a yen to live somewhere in particular, because we’ve decided we like its village vibe. When I moved to Harold’s Cross six years ago, my motivation was less notional and more prosaic. We’re talking about a room in a very nice house, with people I liked and most importantly of all, it was only twenty minutes’ walk into Dublin’s city centre.